On December 19, the IBA worked with Union Pacific officials to organize a luncheon in Santa Teresa in order to provide key border stakeholders with information on the company’s $418 million Santa Teresa diesel refueling/crew change station/intermodal yard project. 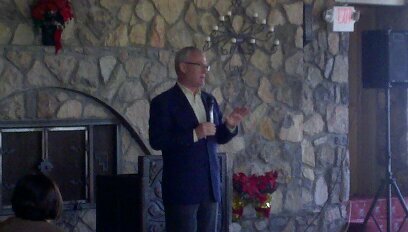 The keynote speaker was Union Pacific V.P. Bob Turner, who spoke about the project’s second stage and estimated 2015 completion. 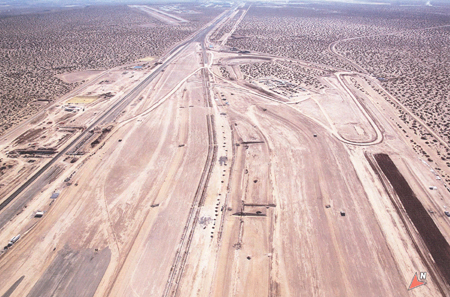 The Santa Teresa project is the largest project that Union Pacific has in the U.S. and the largest development project on the U.S.-Mexico border. The project requires 5.94 million cubic yards of excavation. If that amount of soil was placed in 53-foot containers and double-stacked on a train, that train would stretch 260 miles – roughly the distance between Santa Teresa and Albuquerque. Seventeen different contractors are currently working at the site and $41 million of the project’s total budget of $418 million has already been expended. More than 70% of the contract value is being provided by New Mexican contractors. The project is estimated to have an overall economic impact of $500 on the New Mexico economy. The facility will create 3,000 construction jobs during the construction phase, and 600 permanent jobs when completed. Aerial of the Union Pacific site.